Oh happy day. A vertical of Rogue’s Old Crustacean Barleywine has just arrived at the end of my work day. 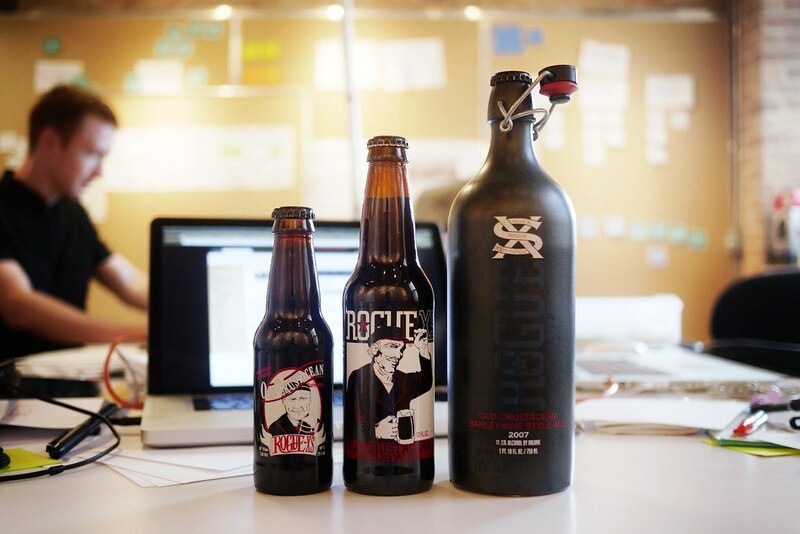 Featuring three years of one of Rogue’s most well-known brews: 1999 in 7oz bottles, 2003 in 12 oz and 2007 in 750ml. Three bottles of each. These are going straight to the cellar until I can arrange a worthy tasting panel — Or I get ambitious on a Saturday.